Welcome to the seventh in our series — Liberal Hero of the Week — as chosen by Stephen Tall, Co-Editor of Liberal Democrat Voice, and Research Associate at CentreForum. British film director and producer, Artistic Director for the opening ceremony of the 2012 London Summer Olympic Games, titled The Isles of Wonder. Reason: for celebrating the optimistic potential of citizens and society. For weeks before, when talking with Olympisceptic friends who were anticipating the London 2012 opening ceremony with unconcealed cynicism, I would simply reply, “In Danny Boyle we trust.” It never seemed likely that the award-winning director of Trainspotting, Slumdog Millionaire and the spell-binding Frankenstein would disappoint. He didn’t, and he didn’t in some style. Of course it was a ‘political’ ceremony: this was, after all, an attempt to present a snapshot celebration of Britian’s history, her present and her potential future. How could such a cultural tableau, beamed to a global billion, avoid being political? It didn’t, and it didn’t in some style. Danny Boyle’s spectacular has inevitably faced criticism, with Tory MP Aiden Burley dismissing it as “leftie multi-cultural crap”. He’s well within his rights to speak his, erm, mind. Those calling on him to apologise for expressing his opinion appear to have a rather different view of what Britain represents — freedom to dissent, freedom to speak — than I do. In any case, it’s clear he represents a particular form of Daily Mail-mindset, as that newspaper’s top-rated online reader comments demonstrate. Mr Burley’s critique, though, is distinctly odd. Why? Because Danny Boyle’s vision just doesn’t suit a simplistic left/right prism. Sure, it lauded the NHS as a symbol of universal healthcare free at the point of use (a sound liberal principle, by the way). Yet it also celebrated the economic energy unleashed by the industrial revolution, with the indolently bucolic, pastoral Britain making way for the powerful pandemonium of the steam-driven inventiveness of Brunel’s urban Britain and the limitlessly connected potential of Berners-Lee’s world-wide web. This was no paean to ‘leftie’ Levellers, nor was it a glib condemnation of capitalism’s ‘dark satanic mills’. It was far more nuanced than that. Everyone will have their own version of what the opening ceremony conveyed personally to them. For me it was two key things. First, the human potentiality which has formed Britain, made her what she is today: from music to immigration to sport to film to literature to comedy to protest to sacrifice. Yes, there are moments when we have got it wrong; but never so wrong we couldn’t put it right. That is a simple, profound, optimistic message: topical, yet timeless. Secondly, this was a celebration of the ordinary individual, as well as our collective power. They say the opening ceremony is about the athletes — the Olympians — and it was. But it was also about the spectators, the volunteers and the construction workers, too: all who had played their part in making the day happen were given their place in the limelight. And when it came to the lighting of the Olympic cauldron how perfect that it should be an unknown group of athletes from the next generation who lit up London: symbolism which seems almost inevitably predictable in hindsight, but which no-one actually predicted. This was an opening ceremony by the people, for the people, of the people. It was a visceral celebration of Britain as individuals and as citizens in a nation where anything is possible. Not bad for a night’s work, Mr Boyle — or Sir Danny, as I suspect you will soon be known. 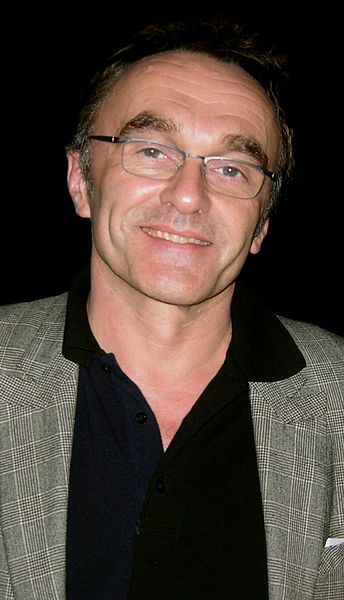 “@stephentall: New from me > CentreForum’s ‘Liberal Hero of the Week’ #7 – Danny Boyle http://t.co/8e2sc9m7” Good read.